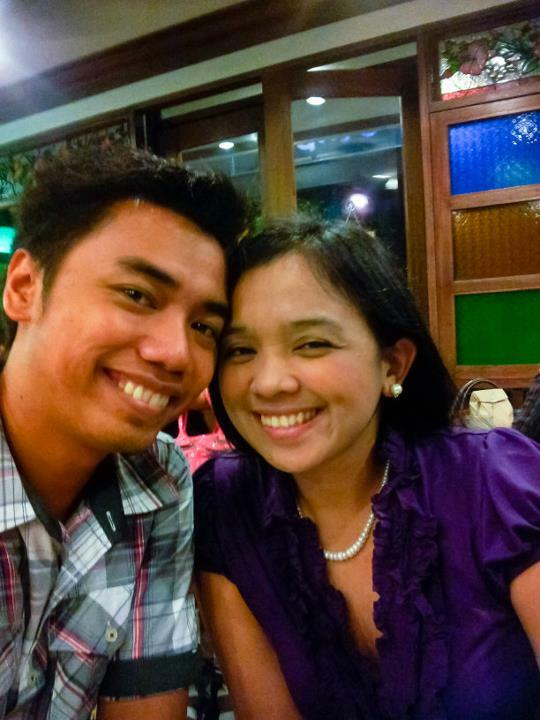 We finally got the chance to try this popular restaurant in Ayala Triangle, Kanin Club. Been hearing lots of good feedback about this restaurant and I promise myself to try it, so during our 61st monthsary, we decided to dine here and celebrate. Kanin Club offers modernized Filipino cuisines with a modern twist, meaning they added kick to the traditional Filipino dishes we’re used to. At first may seem familiar until it hits your taste buds and realize there is something different about that food. The restaurant itself is too small just like other stall in Ayala Triangle; you don’t have any other choice but to wait in line during lunch and even dinner time. Thank God, Ian reserved our seats before I came in. While waiting, we decided to place our orders for them to prepare it and serve once we already have our table. The restaurant has a homey ambience just like a native Filipino house; the walls, chairs as well as the tables were made of dark-stained wood. Seeing their menu is pretty wide-ranging selection of Classic Filipino dishes with a twist. I love their menu; it’s so nice to see the first page since it’s already stated the most ordered and chef’s recommendations to narrow down the choices. 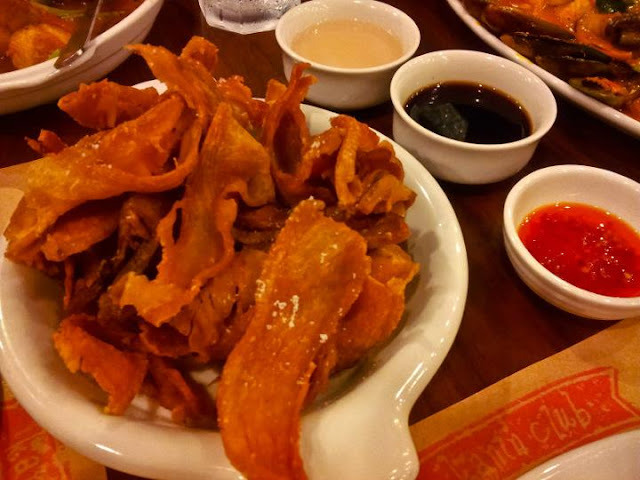 For appetizer, Ian chose Crispy Liempo, light and crunchy pork belly strips ready for dipping in three kinds of sauce. We couldn't stop ourselves from gorging on the thinly sliced, crispy pork strips. It has a once-you-pop-you-can't-stop quality to it. 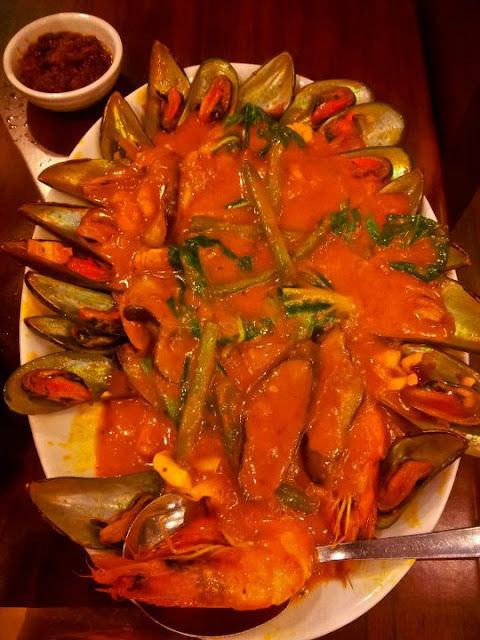 For the Main dish, we opted to try the famous Seafood Kare-Kare, the national dish interpreted in the key of “sea” instaed of meat; they put prawns, mussels, vegetable and squid which is slowly cooked in peanut sauce swerved with bagoong. A rich dish that all Filipinos love. I really love their own version of Kare kare, it has the right peanut and sweet taste that you like to keep coming back for more. I love how generous they are for giving us too much tahong, shrimp and squid. Yummy! I can say that having Seafood Kare-Kare was the highlight of our meal! We also tried the Crispy Pork Binagoongan. 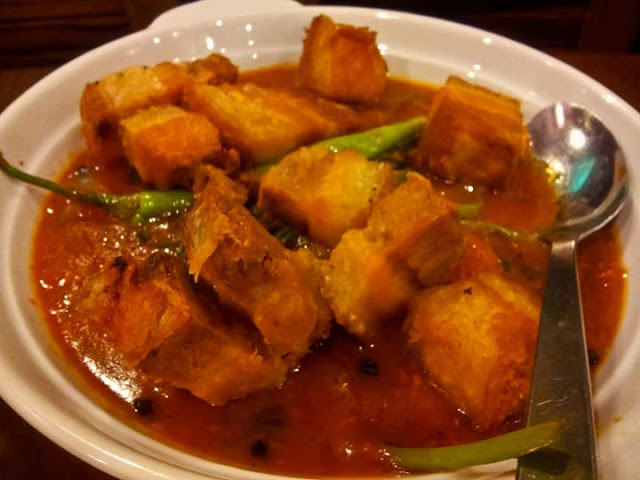 Pork belly deep fried to a golden crisp, served in a bed of bagoong sauce. Sinful but heavenly! We just ordered plain rice. This is better to appreciate the flavors of our food. 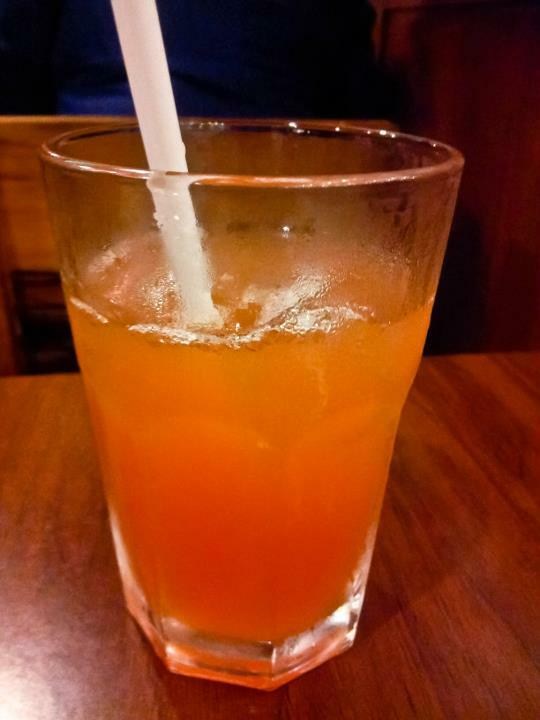 For drinks, Ian opted to avail their bottomless Iced Tea while I chose to have their service water. All dishes are good for 2-4 persons. The taste was good and definitely never failed my expectation. Oh yes, I've eaten here and the food was really good. I've always wanted to try Kanin Club, looks delicious! Heard their Crispy Dinuguan is really good! When I first visited the UP-Ayala Technohub in Commonwealth, I saw a branch of Kanin Club, but I wasn't able to eat there because my budget wasn't enough. My sister hoped for the family to eat there in celebration of mom's birthday next week, and thanks to your review, we are more decided to eat there. love their seafood salpicao and sinigang! ive been wanting to try the turon. Oh wow thanks for this, I'd like to try that crispy liempo! I want to try the Seafood kare-kare. Thanks for joining us, I hope you could put the badge or text link next time so other could join thru your link as well. :) Have a wonderful weekend! 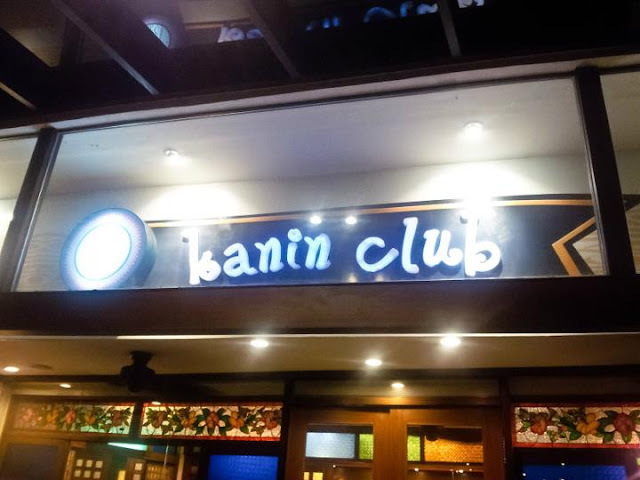 I've been hearing so much about Kanin Club. Want to try Crispy Liempo. Visiting Food Trip Friday! Thank you so much for all your comments..
We’re from Streetdirectory.com Editorial Team. Do you mind if we take the images of your food reviews or interesting features to be placed in Streetdirectory.com? We’re looking forward to receive your favorable reply soon. Thank you. I'm so sorry to bother you again :) Just disregard this mail. You are already on the list because you gave your approval :) Sorry again.